In the final module in our second grade curriculum, we explored the guiding questions, “Why should people help pollinators to survive?” as well as, “How can I take action to help pollinators?”. Through research with fiction and nonfiction texts, students were swiftly becoming experts in pollination. Certainly, if you know second grade then you’ll know how inquisitive and naturally curious they are! Throughout this module of study, students have been exploring texts that encourage them to take action and gives them examples of brave, integrous characters whom, no matter how small, make a difference. As the facilitator of their learning, I am always on the lookout for authentic, local learning experiences I can organize for my crew, to support the lessons I teach and also supports the social emotional aspect of working to contribute to a better world. 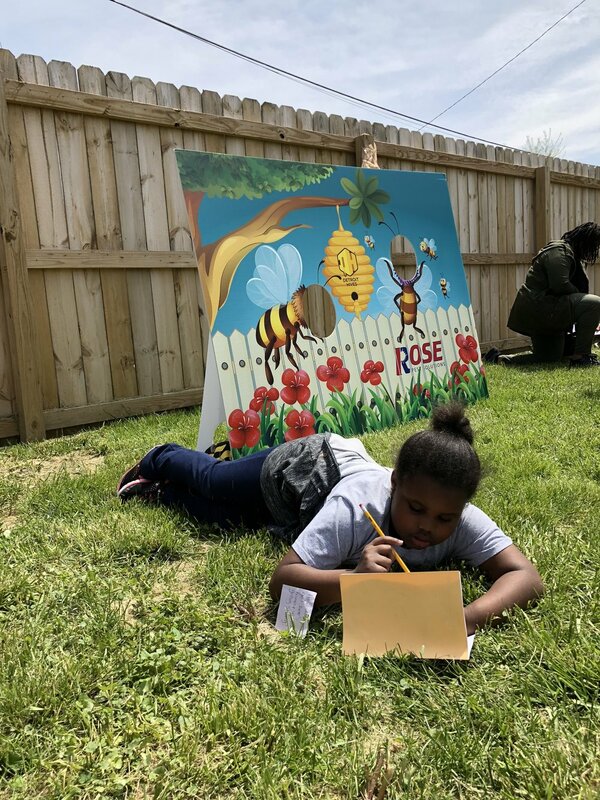 Recently, I learned about a local nonprofit that works to transform vacant lots in Detroit into sustainable habitats for bees and other pollinators. They are also connected with many city organizations that support the education and conservation of bees. Since we’re studying the importance of pollinators in our class, I didn’t hesitate to setup a field study at Detroit Hives. In order to make the trip more authentic, we incorporated a Field Guide Journal for students to draw pictures and capture their thoughts. They spent the trip asking endless questions, and persevering through initial fear to eventually wishing for their own beehive! While on the trip we met Timothy, Nicole, and Skylar (Junior Beekeeper). 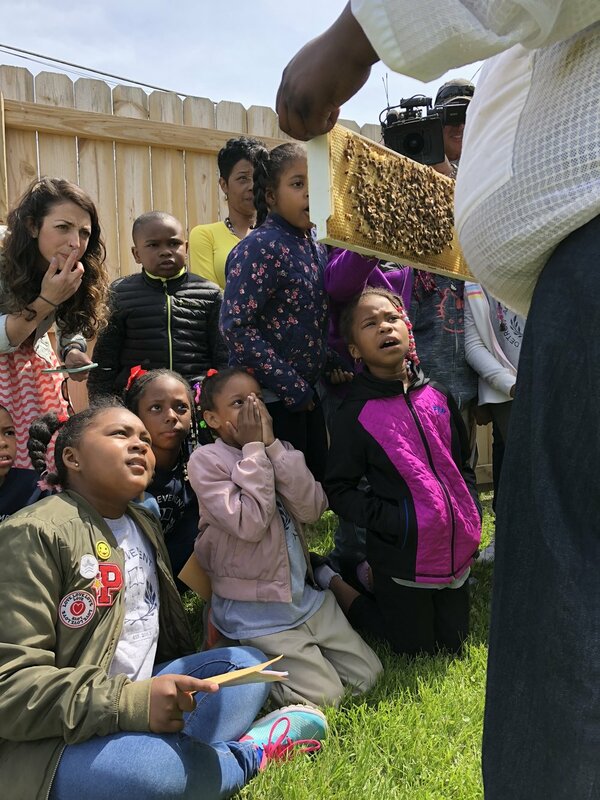 She held the frames herself, answered many of the student’s questions, and was excited to share facts and information with all of the guests about the bees. This bubbly, eager expert shocked us all; at a mere 5 years of old, she was doing it. Students were motivated and encouraged to be involved in the conservation of these precious insect pollinators! Seeing Skylar lead with confidence and excitement was a teaching moment I wouldn’t have been able to facilitate for them in our classroom. These invaluable lessons field studies provide can remain with students for generations and prepares students to be citizens of a larger world; they give them the confidence to go out and take action to improve the world in which they live.